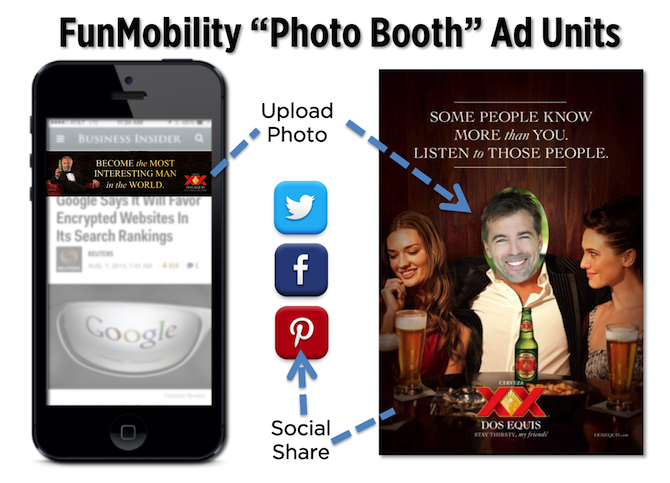 FunMobility is proud to announce the release of its new and improved Photo Booth Ad Units, combining all the fun of a novelty photo-editing app with the branding power and targeting capabilities of a mobile media campaign. 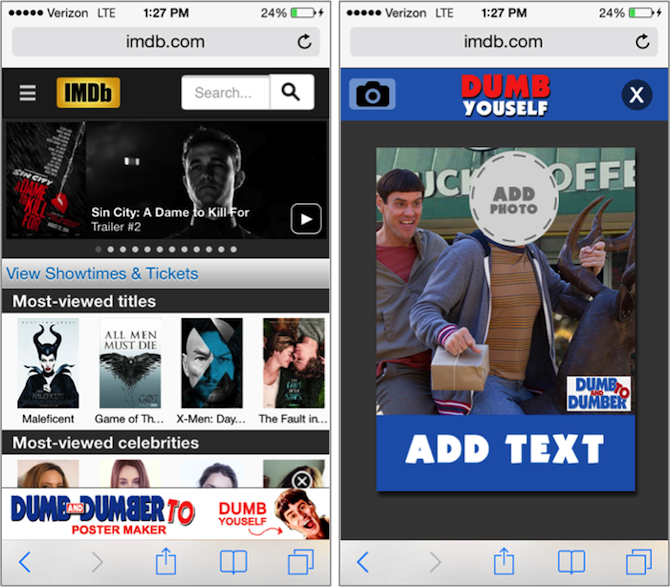 It goes without saying that the mobile camera can be a powerful addition to your advertising toolbox, and FunMobility’s new ad units make it easier than ever. We’ve now added even deeper customization features for advertisers, and more powerful photo manipulation options for consumers. Once a consumer clicks into the Photo Booth, they choose from a selection of custom-branded “frames” to play with. They can either snap a photo of themselves right then and there (using the mobile camera), or they can upload and manipulate existing images from their photo album/hard drive. When the photo booth image has been created, users are prompted to share their work to social: Facebook, Twitter, Pinterest, etc. Photos can also be downloaded or shared to social circles via email. 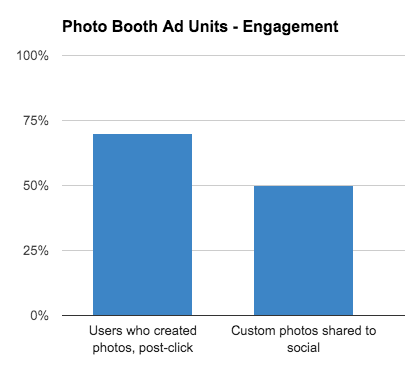 The new Photo Booth Ad Units have shown outstanding initial results, with 70% of users creating photos after clicking-in, and more than 50% of all photos being shared to social. Consumer engagement and dwell time has been high as well, with each unique user averaging 6.2 separate engagement events per session. The social sharing aspect allows the reach of the campaign to spread far beyond the initial media buy or SMS blast. Because the content is something created by the consumers themselves, sharing is far more widespread–and generates markedly more personal and more emotional responses from the user’s social network than traditional marketing. More than ¼ of all traffic to Photo Booth Ad Units comes from consumers who discovered them on shared social media. The secret to this success lies in the Ad Units’ ability to transform consumers into brand advocates–bringing them into the creative process, and giving them a simple outlet to design and share humorous & emotionally powerful branded media. 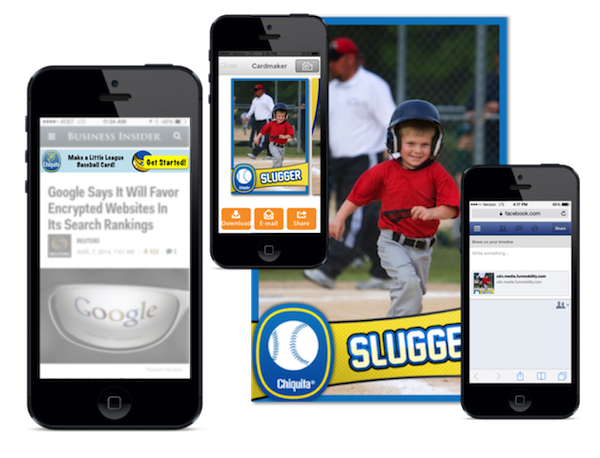 It combines all the best qualities of user generated content and targeted digital ad campaigns. Mock up carnival-style cutouts, place the consumer’s face alongside celebrities in movie posters and album covers, or simply set the scene—transforming ordinary vacation photos into digital post cards, or giving little leaguers their very own branded baseball cards.